Spotify is an incredibly versatile and increasingly popular music streaming service as the service has grown to the largest in the world. One of the best things you can do with Spotify is finding new music and sharing Spotify music. It’s a way to seriously curate your own musical taste, and then show off by sending along to others. One of the easiest approaches for sharing playlists is to use Spotify itself, but once sharing the Spotify music link to friend, your friend has to have a Spotify account to access it. So apparently, it's a good idea to share Spotify via Email for convenient playback, especially when your friend don't install Spotify client or even haven't Spotify account. 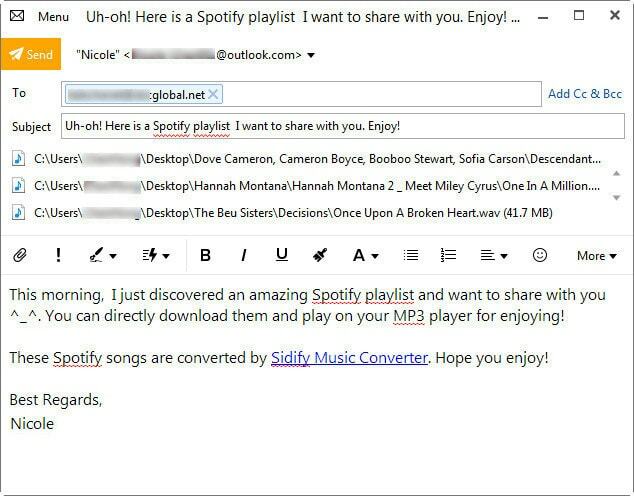 Doing this may not be too easy as there is no option to directly share Spotify via Email for streaming. 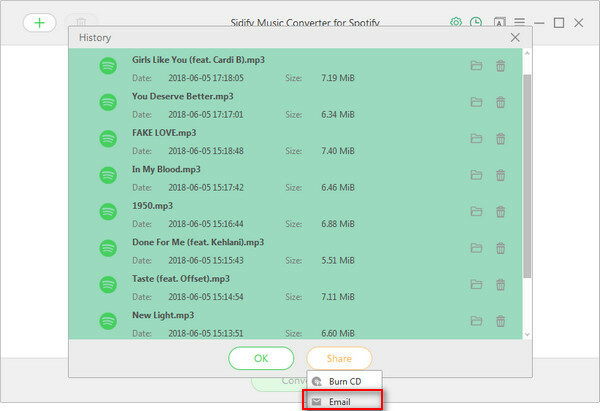 No sweat, with Sidify Music Converter for Windows most recent big update, users are allowed to share Spotify song and playlist to friends via Email or burn Spotify music to CD for playing in car player. Keep Reading! 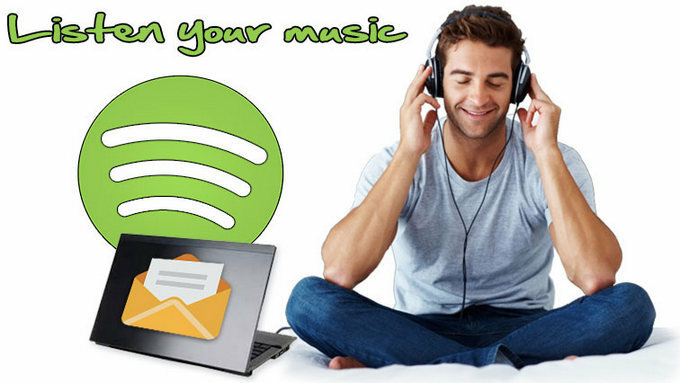 We’ll walk you through the easiest and most pain-free method to share Spotify songs via Email. Note: Please make sure you have installed Spotify. 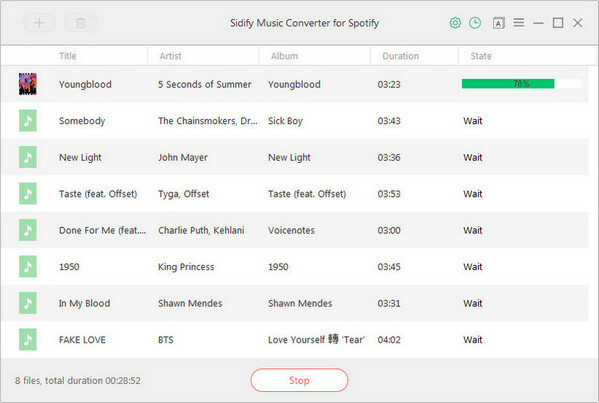 Install Sidify Music Converter and Spotify on your computer. Then launch the Sidify program and Spotify will be opened automatically. Click " " icon or "Click here to add Audio" to import Spotify music. 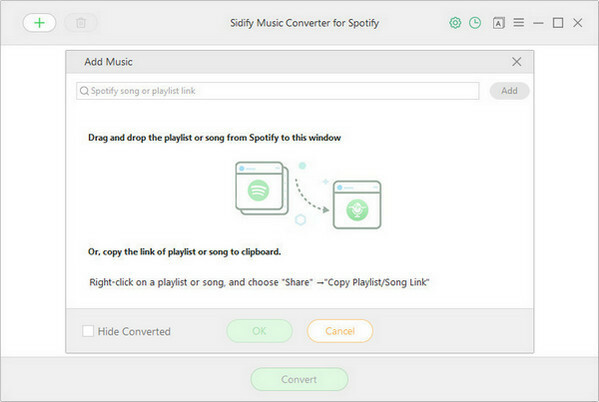 Drag & drop a song or Playlist link from Spotify to Sidify Music converter. Once added the music successfully, you can click setting button to change the basic parameters (Including Output format, Output quality and Conversion Mode, etc). Here you can choose format as MP3, AAC, FLAC or WAV and adjust output quality up to 320 kbps. 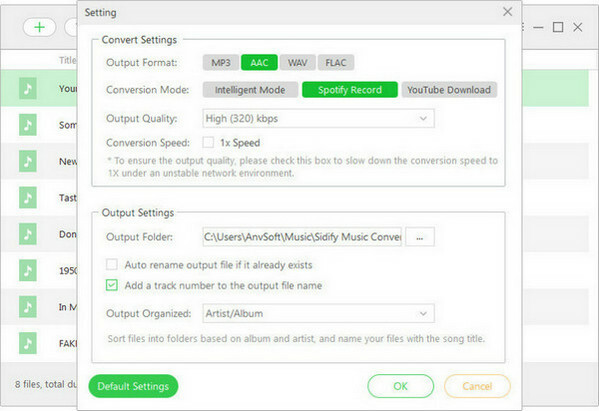 Click "Convert" button to download Spotify music to plain format without loss of any quality. After conversion, you can click button to easily find the downloaded MP3/AAC/FLAC/WAV file in the top right corner. Select the music you want to share with your friend individually by pressing "CTRL+click" or "SHIFT+click" on your key board. Then click on “Share” button and choose "Email" in the drop-down list. Wait for few seconds, a new window would pop up for you to write an Email and forward to your friend. 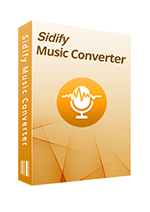 Note: The free trial version of Sidify music converter for Spotify enables us to convert first 3 minutes of each file for sample testing. You can unlock the time limitation by purchasing the full version at $39.95.